Are you in need of an automobile accident attorney? Houston is home to The Law Offices of John R. Bartos & J. Bernard Schultz. As a personal injury attorneys’, we specialize in providing legal expertise for a wide variety of areas of practice such as: 18-wheeler and traffic accidents to estate planning to unsafe products, and more. We work one on one with each of our clients to ensure that every person we help gets the quality attention they deserve. If you are in need of legal expertise and guidance, give us a call today. We understand that going through an automobile accident can be overwhelming and can put you into a lot of stress, both emotionally and financially. Finding the right automobile accident attorney in Houston that bests fits your particular case isn’t easy. 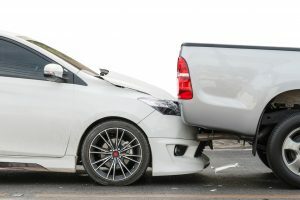 While considering automobile accident attorneys, it is important to realize that not every case, just like not every attorney, will be the same. The Law Offices of John R. Bartos & J. Bernard Schultz, Houston Automobile Accident Attorneys, represent a variety of people and situations regarding automobile accident cases. At The Law Offices of John R. Bartos & J. Bernard Schultz we want to help make the legal process as simple as possible so that you can stress less and get back on your feet. The Law Offices of John R. Bartos & J. Bernard Schultz are capable of providing you legal guidance as an automobile accident lawyer Houston clients enjoy working with our experts, regardless of the case we are assisting with or legal guidance we are providing. We make sure to understand your situation as thoroughly as possible and can provide you legal guidance on the following areas of practice. We have helped numerous clients get fairly compensated for their injuries, medical bills, lost wages and pain and suffering and mental duress as allowed under Texas law. We are experienced in dealing with insurance companies to make sure that you are treated fairly. How do you get an evaluation by an experienced car accident lawyer? It’s easy just give us a call. If you are seriously injured, arrangements may be made for us to visit you at your home or hospital. Please contact us immediately for a no obligation, personal consultation to discuss your case. Calling now may allow us to start your case off on the right path to recovery. Whether you need an attorney for negligence, dog bites, brain injuries or you need an automobile accident attorney, Houston residents can contact The Law Offices of John R. Bartos & J. Bernard Schultz for all of their legal needs. We are located on 1235 North Loop West, Suite 208, Houston Texas 77008 and you can contact us to learn more. Let us know what your situation is and we will let you know how we can help by providing you with the best legal advice for your unique circumstances.